Manisha Koirala is one of the beautiful bollywood actresses known for her elegance and grace. She is from Nepal and has acted in many Indian films. She started her Bollywood career in 1991, with the film ‘Saudagar’. If you want to look beautiful like Manisha, here are some of her beauty secrets that you will like to know. Manisha Koirala is blessed with a crystal clear and radiant skin in heritage. According to her, she inherited her flawless and beautiful skin from her parents. She takes proper care of her skin. Skin care for Manisha means cleansing and moisturizing her skin properly. She uses chilled water to cleanse her face. After washing her face, she applies a rich moisturizer on her face and keeps her skin well nourished and moisturized. She is against using chemical based makeup removers to remove cosmetics that she applies on her skin. Instead, she opts for natural alternatives to remove her makeup, like baby oil. This not only removes all traces of makeup, but also helps in nourishing and moisturizing her skin. Since it does not contain any chemicals in it, no harm is done to the skin. Like majority of the female celebrities, Manisha also loves to look as natural as possible. She does not like applying tons of makeup on her face and look artificial. She prefers to wear as little makeup as possible. This helps in giving her a natural look. She tries to keep her face free of makeup as much as it is possible. Applying a little blusher is enough for her during the day time. However, for the night time, when it requires dressing up for an event, she wears some mascara and eyeliner to look more glamorous. Since she loves natural look, she chooses natural colors and hues, unless the occasion demands more. Then she uses dark and more dramatic and bolder colors for makeup. She is a bit conscious about her nose. So, she tries keeping her nose perfect with makeup. Manisha has beautiful tresses, which are lush, glossy and soft. She maintains her hair well by applying oil on her hair every alternate day. After applying the oil, she steams her hair before rinsing. This helps in making the oil penetrate deep into the hair follicles and nourishing each strand. She trusts hair care brands like Michelle and Pantene to take care of her tresses. She loves wearing her hair super-short. You can see her in her super-short hair when she appears for various events. This makes it easy for her to maintain her hair. In addition, it accentuates her best facial features, making her look even more fabulous and gorgeous. Manisha has a well toned and slender body. The secret behind it is a low carbohydrate diet. She included green veggies, soups and salads in her daily diet. For her breakfast she takes a cup of tea and usually some light snacks. She is not one who loves eating out. She eats out only if there is no other way. She prefers to eat homemade food the most. She also tries not to eat junk foods and fried foods. Manisha also drinks lots of water and fresh juices. But she says that she has it not because she wants to maintain a healthy and glowing skin. She says that she likes to drink lots of water and juices, but not with the intention of keeping her skin looking good. 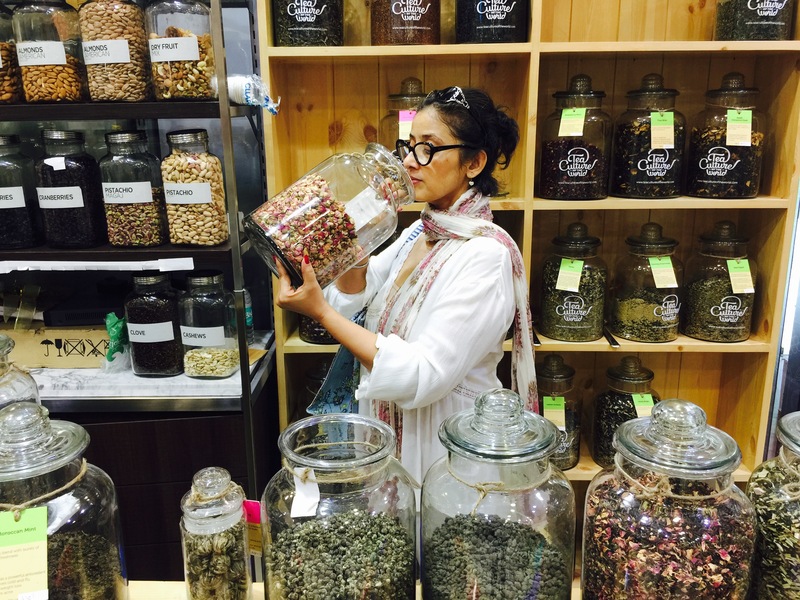 Manisha Koirala, who has successfully fought ovarian cancer, is now following a proper diet plan and fitness regime. She gets up at 5 am and does meditation. She says that it helps her to control her thoughts. After meditation she reads something that helps in lifting her mood. Then she goes for a walk for an hour and follows it with yoga. She also has ayurvedic massage to keep her body healthy and toxin free. She takes time to go to the gym three times a week to keep her body well toned and fit. She loves to have green tea and healthy cereals containing nuts. She makes her own vegetable juices, which are very healthy and tasty. Breakfast – For breakfast Manisha prefers to have almonds, wallnuts, fresh or dried organic blueberries, chia seeds, strawberries, goji berries, sunflower seeds, flaxseeds, pine nuts, cereal made of hemp or chia with skimmed milk. Lunch – For lunch she takes in Kichri made with quinona and multicolored vegetables. She also consumes dal for lunch. Snack – Snack time for Manisha means a glass of green tea, white tea or ginger tea. Dinner – Dinner is made light with salads and two tall glasses of vegetable juice. This she takes at 5.30 pm. At 8.00 pm, she takes a glass of milk with in which turmeric and isabgol are added. Dessert – Manisha loves to have dark chocolates with goji berries or yogurt for dessert. Once in a while she eats pizzas, cheesecakes etc to treat herself. But she never makes it a habit. She reads a lot, spends time in the garden, meet her friends, meditates, listens to music, goes out and do other activities that keep her occupied. She says that you have to always remain active. Work and stay occupied. Have positive thoughts in you. All these will make you stronger and healthier, making it possible for you to combat with any serious problem.